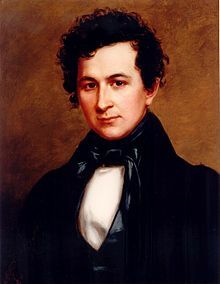 On this day in 1828, John Adams II, son of President John Quincy Adams, marries his first cousin and inadvertently follows a pattern of keeping marriages within the family. John Adams’ grandfather, President John Adams, had married his third cousin, Abigail Smith. This tradition skipped a genera-tion with John Quincy Adams, who had married a non-relative. John Adams II, his older brother George and his younger brother Charles were all rivals for the same woman, their cousin on his mother’s side, Mary Catherine Hellen, who lived with the John Quincy Adams family after the death of her parents. But in 1828, at 25 years old, John II married his first cousin, 22-year-old Mary Catherine Hellen, in a private ceremony at the White House, and both his brothers refused to attend. Exactly nine months and seven days after the wedding, Mary Catherine gave birth to the couple’s first child, a daughter named Mary Louisa, in the White House family quarters. Mary and John gave her the name Mary, after her mother, and the middle name Louisa after her paternal grandmother Louisa Catherine Adams, the wife of John Quincy Adams. In 1853, Mary Louisa Adams also married a family member–her second cousin, William Clarkson Johnson, the son of her first cousin, Abigail Louisa Smith Adams, and President John Adams’ great-grandson. Both bride and groom descended from President John Adams–the wedding constituted the first marriage between descendants of two presidents. While both Mary Louisa and her new husband were descendants of President John Adams, only Mary Louisa was directly related to President John Quincy Adams. married Eleanor, his fifth cousin once removed. 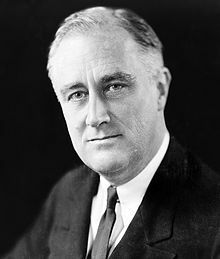 Eleanor did not have to change her name upon marrying, since her maiden name was also Roosevelt. 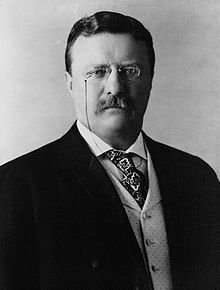 Her father, Elliot, was the brother of former President Theodore Roosevelt. 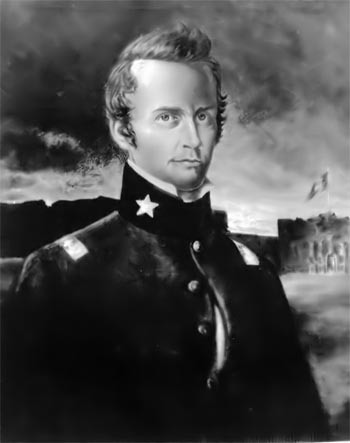 On this day in 1836, in San Antonio, Texas, Colonel William Travis issues what will become a famous call for help on behalf of the Texan troops defending the Alamo, an old Spanish mission and fortress under attack by the Mexican army on their way to crush the Texan’s revolt. shelter in the Alamo, where they were soon joined by a volunteer force led by Colonel James Bowie. Only 32 men from the nearby town of Gonzales responded to Travis’ call for help, and beginning at 5:30 a.m. on March 6, Mexican forces stormed the Alamo through a gap in the fort’s outer wall, killing Travis, Bowie and 190 of their men. Despite the loss of the fort, the Texan troops managed to inflict huge losses on their enemy, killing at least 600 of Santa Ana’s men. But it turned out to be a major mistake for Santa Ana. He won the battle and lost the war because of this fight. the Alamo!” The next day, after Texan forces captured Santa Ana himself, the general issued orders for all Mexican troops to pull back behind the Rio Grande River. On May 14, 1836, Texas officially became an independent republic. near Fort Craig in New Mexico Territory. The Union troops were under the command of Union Colonel Edward R. S. Canby. The battle, the first major engagement of the Civil War in the far West, produced heavy casualties but no decisive result. This action was part of the broader movement by the Confederates to capture New Mexico and other parts of the West. Their goal was to gain control of territory that the Rebels believed they had been denied by political compromises made before the Civil War. Additionally, the financially impoverished Confederacy intended to use Western mines to fill its treasury. 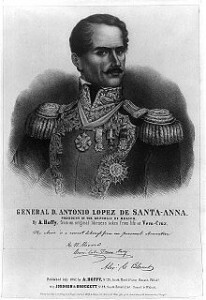 From San Antonio, the Rebels moved into southern New Mexico (which included Arizona) and captured the towns of Mesilla and Tucson. Sibley, with 3,000 troops, now moved north against the Federal stronghold at Fort Craig on the Rio Grande. However, at Fort Craig, Canby believed the Rebels could not wait long before running low on supplies so he intended to force the Confederates lay siege to the post in order to make them run through what supplies they did have. He also knew that Sibley did not have enough heavy artillery to attack the fort. When Sibley arrived near Fort Craig on February 15, he ordered his men to swing east of the fort, cross the Rio Grande, and capture the Valverde fords of the Rio Grande. He hoped to cut off Canby’s com-munication and force the Yankees out into the open. At the fords, five miles north of Fort Craig, a Union detachment attacked part of the Confederate force. They pinned the Texans in a ravine and were on the verge of routing the Rebels when more of Sibley’s men arrived and turned the tide. 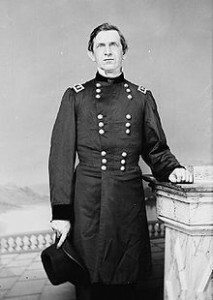 In command in place of an ill Sibley, his second in command, Colonel Tom Green made a bold counterattack against the Union left flank. The Yankees fell back in retreat, and headed back to Fort Craig. The Union suffered 68 killed, 160 wounded, and 35 missing out of 3,100 engaged. The Confederates suffered 31 killed, 154 wounded, and 1 missing out of 2,600 troops. It was a bloody but indecisive battle. Sibley’s men continued up the Rio Grande. Within a few weeks, they captured Albuquerque and Santa Fe before they were stopped at the Battle of Glorieta Pass on March 28. On this day in 1864, at the Battle of Olustee, the largest conflict fought in Florida during the Civil War, a Confederate force under General Joseph Finegan decisively defeats an army commanded by General Truman Seymour. The victory kept the Confederates in control of Florida’s interior for the rest of the war. Olustee was the climax to a Union invasion of Florida a few weeks before. 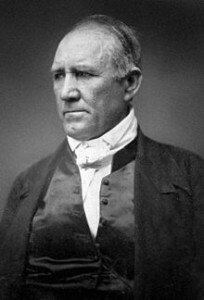 General Quincy Gilmore, commander of the Union’s Department of the South, dispatched Seymour to Jacksonville on February 7. Seymour’s troops secured the town and began to send cavalry raiders inland to Lake City and Gainesville. 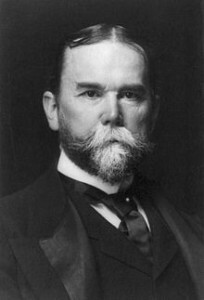 Just behind the troops came John Hay, private secretary to President Abraham Lincoln. Hay began issuing loyalty oaths to residents in an effort to form a new, Republican state government in time to send delegates to the 1864 party convention. Under the president’s plan of reconstruction, a new state government could be formed when 10 percent of the state’s prewar voting population had taken a loyalty oath. Seymour began moving towards Lake City, west of Jacksonville, to destroy a railroad bridge and secure northern Florida. Finegan possessed only 500 men at Lake City, but reinforcements were arriving. By the time the two sides began to skirmish near the Olustee railroad station, each side had about 5,000 troops. Throughout the day on February 20, a pitched battle raged. The Confederates were close to breaking the Yankee lines when they ran low on ammunition. When more cartridges arrived, the attack continued. By late afternoon, Seymour realized the fight was lost and he began to retreat. The Yankees suffered around 1,800 killed, wounded, or captured, while the Confederates lost about 900 men. The battle did disrupt the flow of supplies from Florida to other Confederate armies, but it failed to bring about a new state government. Most of Florida remained in Confederate hands until the end of the war. I am getting some interesting comments back on my entries, and I appreciate all of them, positive or not. What I am NOT allowing to go through, are blatant efforts to sell something that I have no relationship with or speeches about anything other than what this site is for. ANY comments that involve ANYTHING other than this site, or suggestions, or links to a NON-RELATED site (no medical links, no promoting someone else’s business, no hate mail or racist support is wanted either) will likely not see the light of day. You are free to post opposing views, you don’t have to agree with me to be herd or seen here, but let’s keep it free of stuff that rightfully belongs to another site. Please. On February 19, 1847, the first rescuers reach surviving members of the Donner Party, a group of California-bound emigrants stranded by snow in the Sierra Nevada Mountains. In the summer of 1846, in the midst of a Western-bound fever sweeping the United States, 89 people–including 31 members of the Donner and Reed families–set out in a wagon train from Springfield, Illinois. After arriving at Fort Bridger, Wyoming, the emigrants decided to avoid the usual route and try a new trail recently blazed by California promoter Lansford Hastings, the so-called “Hastings Cutoff”, which didn’t exist as he had never been there. After electing George Donner as their captain, the party departed Fort Bridger in mid-July. The shortcut was nothing of the sort: It set the Donner Party back nearly three weeks and cost them much-needed supplies. After suffering great hardships in the Wasatch Mountains, the Great Salt Lake Desert and along the Humboldt River, they finally reached the Sierra Nevada Mountains in early October. Despite the lateness of the season, the emigrants continued to press on, and on October 28 they camped at Truckee Lake, located in the high mountains 21 kilometers northwest of Lake Tahoe. Overnight, an early winter storm blanketed the ground with snow, blocking the mountain pass and trapping the Donner Party. Most of the group stayed near the lake–now known as Donner Lake–while the Donner family and others made camp six miles away at Alder Creek. Building makeshift tents out of their wagons and killing their oxen for food, they hoped for a thaw that never came. Fifteen of the stronger emigrants, later known as the Forlorn Hope, set out west on snowshoes for Sutter’s Fort near San Francisco on December 16. Three weeks later, after harsh weather and lack of supplies killed several of the expedition and forced the others to resort to cannibalism, seven survivors reached a Native American village. News of the stranded Donner Party traveled fast to Sutter’s Fort, and a rescue party set out on January 31. Arriving at Donner Lake 20 days later, they found the camp completely snowbound and the surviving emigrants delirious with relief at their arrival. Rescuers fed the starving group as well as they could and then began evacuating them. Three more rescue parties arrived to help, but the return to Sutter’s Fort proved equally harrowing, and the last survivors didn’t reach safety until late April. Of the 89 original members of the Donner Party, only 45 reached California. 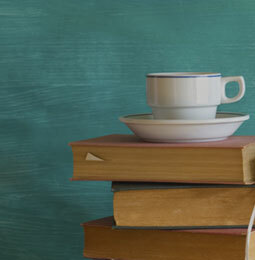 Just a reminder, the St. Lucie County Local Authors Book Fair is going to be on March 12. I will be at the Morningside Library location (2410 SE Morningside Blvd, Pt. St. Lucie 337-5632) from 10:00am to 12:00pm, along with Sue Arndt, Janet Balletta, Fred Berri, Sheila Craan, Aria Dunham, Stephanie Erickson, Gail Gilroy, DonnaMarie, Margaret Hawke, L. D. Hedman, Karen Howard, Gene Hull, George Jackson, Carole Lee Limata, Megan Loughlin, Maritza Mejia, CHad Miller, Yashi Nozawa, VIrginia Nydard, “Tiger” Lydi Pallares, WIllard F. Rockwell III, Albert Schwartz, Solana Tara and Christos Tzanetakos. Come by and say hello to all of us! Maybe even buy a book? The other location is the Ft. Pierce Branch (101 Melody Lane, Ft. Pierce, 462-1615) from 1:00pm to 4:00pm. Local authors at that site will be R. J. Blacks, Linda Bolton, Rod Burns, Joanne E. Caras, Jacquetta Cook, Nancy Dale, Danny L. Davis, Paul Dawson, Rosemary Dronchi, Pamela Frost, Regena B., Demetrious, E. Glimidakis, Thea Harris, Dorothy (Smith) Haynes, Linda Gordon Hengerer, Josephine Johnson Knight, Lynn Michelsohn, Heather Murray, Ned Schwartz and Raymond Tortolani. After you leave us, go by and see them too! Support Your Local Author! 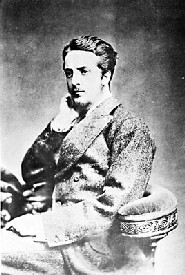 Today, February 18, 1878, long simmering tensions in Lincoln County, New Mexico, explode into a bloody shooting war when gunmen murder the English rancher John Tunstall. operated a general store called The House, which controlled access to lucrative beef contracts with the government. The big ranchers, led by John Chisum and Alexander McSween, didn’t believe merchants should dominate the beef markets and began to challenge The House. 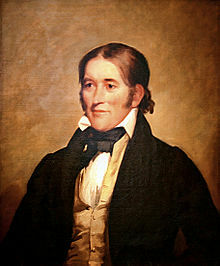 Tunstall, a wealthy young English emigrant, soon realized that his interests were with Chisum and McSween in this conflict, and he became a leader of the anti-House forces. He won Dolan’s and Murphy’s lasting enmity by establishing a competing general merchandise store in Lincoln. By 1877, the power struggle was threat-ening to become overtly violent, and Tunstall began to hire young gunmen for his protection, including the soon-to-be-infamous William Bonney, better known as Billy the Kid. Early the next year, The House used its considerable political resources to strike back at Tunstall, winning a court order demanding that Tunstall turn over some of his horses to pay an outstanding debt. 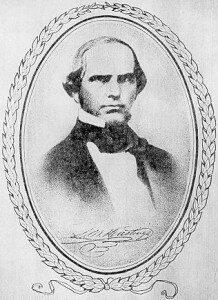 When Tunstall refused to turn over the horses, the House-controlled Lincoln County sheriff dispatched a posse-with William Morton, another House supporter, at the head-to take them. 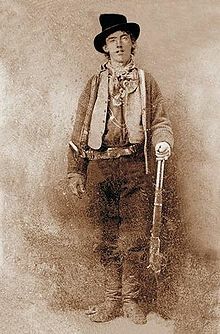 Billy the Kid and several other Tunstall hands were working on the ranch when they spotted the approaching posse. Outnumbered, the men fled, but they had not gone far before they saw Tunstall gallop straight up to the posse to protest its presence on his property. As Billy and the others watched, Morton pulled his gun and shot Tunstall dead with a bullet to the head. The Senate passes the Missouri Compromise, an attempt to deal with the dangerously divisive issue of extending slavery into the western territories today, February 17, in 1820. From colonial days to the Civil War, slavery and western expansion both played fundamental but inherently incompatible roles in the American republic. As the nation expanded westward, the Con-gress adopted relatively liberal procedures by which western territories could organize and join the union as full-fledged states. Southern slaveholders, eager to repli-cate their plantation system in the West, wanted to keep the new territories open to slavery. Abolitionists, concentrated primarily in the industrial North, wanted the West to be exclusively a free labor region and hoped that slavery would gradually die out if confined to the South. Both factions realized their future congressional influence would depend on the number of new “slave” and “free” states admitted into the union. Consequently, the West became the first political battleground over the slavery issue. In 1818, the Territory of Missouri applied to Congress for admission as a slave state. Early in 1819, a New York congressman introduced an amendment to the proposed Missouri constitution that would ban importation of new slaves and require gradual emancipation of exist-ing slaves. Southern congressmen reacted with outrage, inspiring a nationwide debate on the future of slavery in the nation. Over the next year, the congressional debate grew increasingly bitter, and southerners began to threaten secession and civil war. To avoid this disastrous possibility, key congressmen hammered together an agreement that became known as the Missouri Compromise. In exchange for admitting Missouri without restrictions on slavery, the Compromise called for bringing in Maine as a free state. 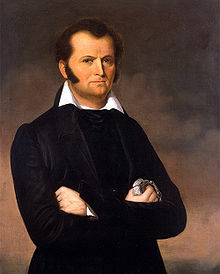 The Compromise also dictated that slavery would be prohibited in all future western states carved out of the Louisiana Territory that were higher in latitude than the northern border of Arkansas Territory. Although the Missouri Compromise temporarily eased the inherent tensions between western expansion and slavery, the divisive issue was far from resolved. Whether or not to allow slavery in the states of Texas, Kansas, and Nebraska caused the same difficulties several decades later, leading the nation toward civil war. 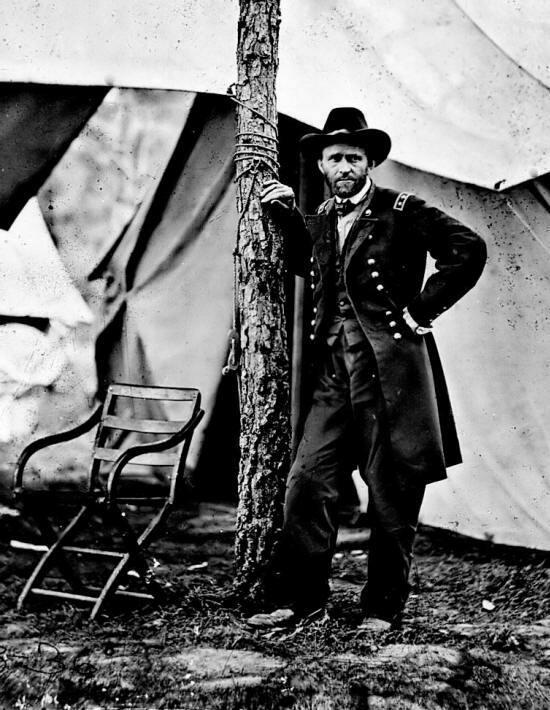 On this day, February 16, Ge in 1862, General Ulysses S. Grant finishes a spectacular campaign by capturing Fort Donelson on the Cumberland River in Tennessee. This battle came 10 days after Grant’s capture of Fort Henry, just 10 miles to the west on the Tennessee River, and opened the way for Union occupation of central Tennessee. February 13 when he tried to capture a Rebel battery along Fort Donelson’s outer works. Although unsuccessful, this act-ion probably convinced the Confederates that they faced a superior force, even though they actually outnumbered Grant.Over the next three days, Grant tightened the noose around Fort Donelson by moving a flotilla up the Cumberland River to shell the fort from the east. On February 15, the Confederates tried to break out of the Yankee perimeter. 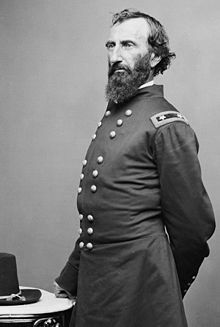 An attack on the Union right flank and center sent the Federals back in retreat, but then Confederate General Gideon Pillow made a fatal miscalculation. Thinking he could win the battle, Pillow threw away the chance to retreat from Fort Donelson. Instead, he pressed the attack but the Union retreat halted. Now, Grant assaulted the Confederate right wing, which he correctly suspected had been weakened to mount the attack on the other end of the line. The Confederates were surrounded, with their backs to the Cumberland River. They made an attempt to escape, but only about 5,000 troops got away. These included Colonel Nathan Bedford Forrest and 500 cavalrymen. 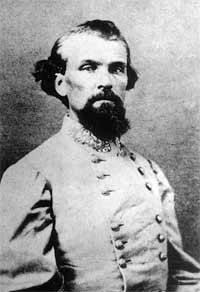 Forrest later became a legendary leader in the West and his exploits over the next three years caused much aggravation to the Union Army. When the Rebels asked for terms of surrender, Grant replied that no terms “except unconditional and immediate surrender” would be acceptable. 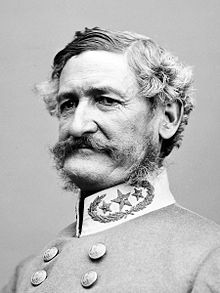 This earned Ulysses S. Grant the nickname “Unconditional Surrender.” The loss of Fort Henry and Fort Donelson were unmitigated disasters for the Confederates. Kentucky was lost and Tennessee lay wide open to the Yankees. matelas gonflable on WESTERN HISTORY TODAY: Abraham Lincoln Leaves For Washington, D.C.
codes reduction on WESTERN HISTORY TODAY: Abraham Lincoln Leaves For Washington, D.C.
Garrett on WESTERN HISTORY TODAY: Abraham Lincoln Leaves For Washington, D.C.
Scie A Onglet on WESTERN HISTORY TODAY: Abraham Lincoln Leaves For Washington, D.C.
larry on WESTERN HISTORY TODAY: Abraham Lincoln Leaves For Washington, D.C.